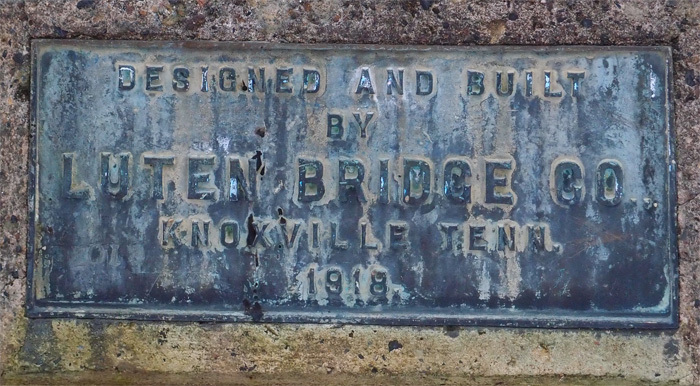 Neat, closed-to-traffic, concrete arch bridge was made by Luten Bridge of Knoxville in 1918. 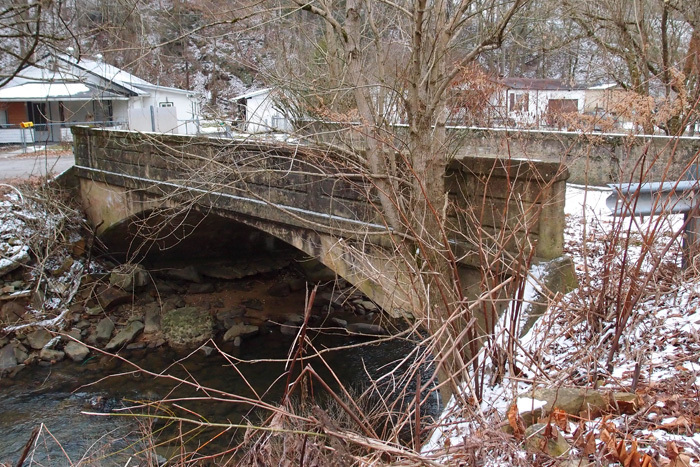 This goes over Puckett Creek at Stone Creek and used to connect St. Charles Road with what was then the highway between Pennington Gap and points north. It’s very near the intersection of Highway 421 and St. Charles Road just north of Pennington Gap. Here it is (this is looking from the highway side). A tip of the bald guy’s cap to Lee Stone for spotting this one. Well, it’s a tunnel, since it’s on Cowan Gap Tunnel Road (Hwy. 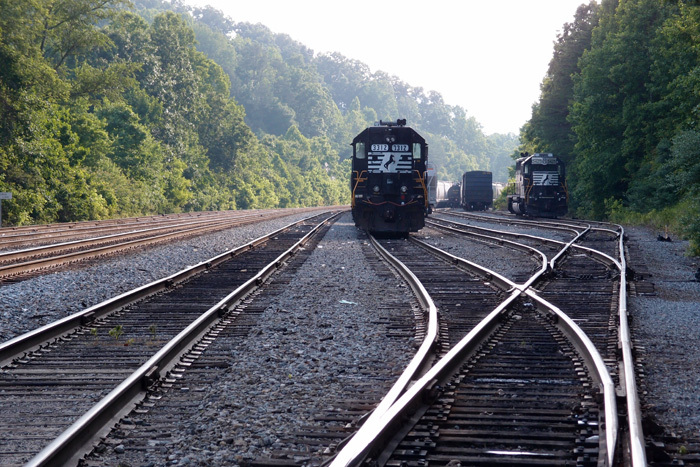 636) in southwest Virginia. 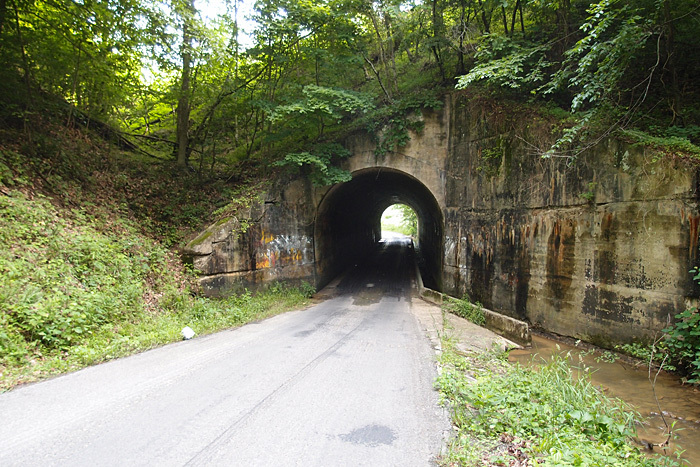 This railroad (CSX) underpass, from 1907, is about 125′ long and runs aslant under the railroad. This is at 36.61900, -82.68865. 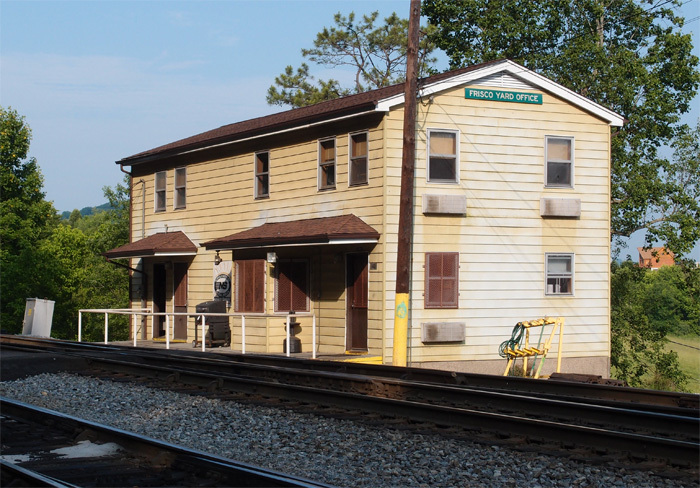 This is the west end of Frisco Yard, shared by N&S and CSX. I took both pictures from approximately 36.592870, -82.631917. Or just go to Google Earth and enter Frisco VA and you’ll see it. The picture of the N&S engines is looking east.